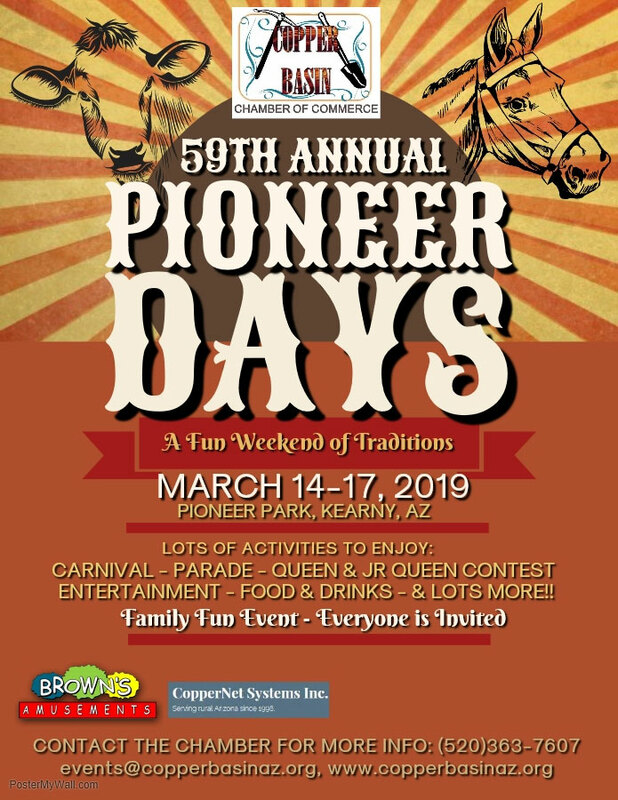 Known as a fun weekend of traditions, Kearny will present its 59th Annual Pioneer Days, Friday through Sunday, March 14-17, at Pioneer Park. “It is a jam-packed, four-day weekend, full of family fun,” said Ginger Bentley, who is in her third year as president of the Copper Basin Chamber of Commerce. Event organizers promise lots of activities, including a carnival, a parade, a Queen and Junior Queen contest, entertainment, food and drinks and lots more. The weekend starts with the crowning of the Queen and Junior Queen on Thursday, Bentley said. All candidates receive a tiara and a sash, and the winners also get a belt buckle, Bentley said. 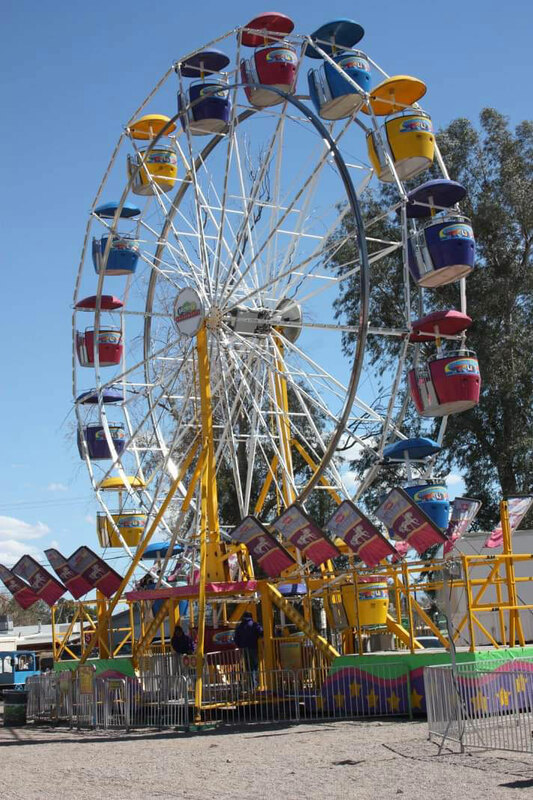 “It is a jam-packed, four-day weekend, full of family fun,” said Ginger Bentley, president of the Copper Basin Chamber of Commerce. This is Bentley’s third year to help plan Pioneer Days. For more information, contact the Copper Basin Chamber of Commerce by phone at 520-363-7607, via e-mail at events@copperbasinaz.org or go to the Chamber website at www.copperbasinaz.org. Easily accessible by the scenic State Route 177, Kearny rests in the heart of the Copper Basin, near the Gila River.